Lapointe, Pierre Louis. 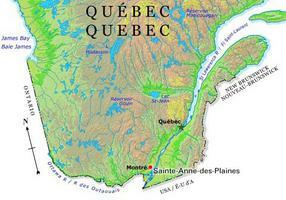 "Sainte-Anne-des-Plaines". The Canadian Encyclopedia, 17 July 2015, Historica Canada. https://www.thecanadianencyclopedia.ca/en/article/sainte-anne-des-plaines. Accessed 24 April 2019. The serene country atmosphere that surrounds Sainte-Anne-des-Plaines is complemented by the rich architectural heritage that is to be found in the city centre. Sainte-Anne-des-Plaines, Qué, City, pop 14,535 (2011c), 13,001 (2006c), area 92.79 km2, inc 1987, is located about 50 km northeast of Montréal on the North Shore of the St Lawrence River. 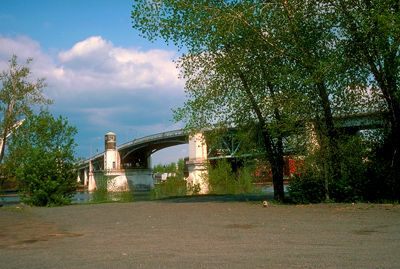 The city is located on some of Québec's richest farmland, 90% of which is reserved for agricultural use. Dairy, beef, poultry and sheep farming, large-scale cultivation of corn, oats and barley, and market gardening are the main agricultural pursuits. Since the late 1950s, the cultivation of strawberries has also become important. A member of the regional county municipality of Thérèse-de-Blainville, it is the site of the Archambault Federal Penitentiary. The serene country atmosphere that surrounds Sainte-Anne-des-Plaines is complemented by the rich architectural heritage that is to be found in the city centre. The city hall, located in the old convent, dates back to 1882, the presbytery to 1887, and the house, barn and stable of the Chaumont Priests (recognized as a provincial historic site) to 1884. The church, inaugurated in 1902, is outstanding for its German Renaissance architectural style. Ste-Anne-des-PlainesThe website for the City of Ste-Anne-des-Plaines. Text in French.